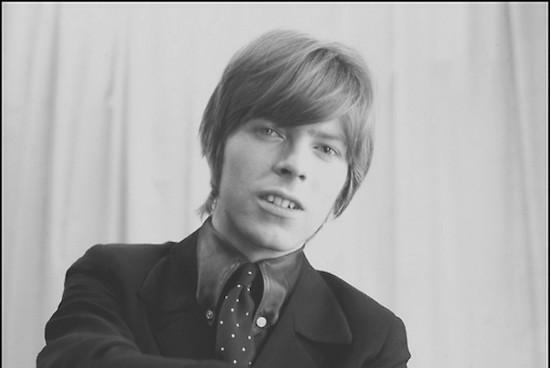 Aged 16, David Bowie recorded a demo track in a small south London studio with his band at the time The Konrads. At that time, Bowie's ambitions were more rooted in being a saxophonist but he agreed to record lead vocals on a track called 'I Never Dreamed' during the session. As The Guardian reports, the tape containing that recording, the only known one to exist from the studio session, has resurfaced in an old bread basket. It's now being put up for auction and is expected to sell for at least £10,000. The recording, which was made well before Bowie launched his solo career, was rejected by the label Decca, and was rediscovered by former Konrads drummer and manager David Hadfield when he was moving home. He also found booking forms, photographs, letters and other materials from the band's time together. Hadfield told The Guardian that The Konrads' agent, Eric Easton, who also managed an early incarnation of The Rolling Stones, asked them to make a demo, so he booked a session at RG Jones in Morden. While Decca did reject the demo, they later gave them a trial run shortly before Bowie left the band. "There is no other recording of the demo featuring David as lead in existence," Hadfield told The Guardian. "Decca initially turned us down, but when they eventually gave us an audition later that year, vocalist Roger Ferris was the lead voice and David sang backing harmonies." The demo is due to be auctioned by Omega Auctions in September.